We are highlighting the recently published 2nd Edition of Oyster Cookery by Sharon Montoya-Welsh. The 1st Edition was published in 1984 and quickly became a best selling reference for oyster cooks and lovers. 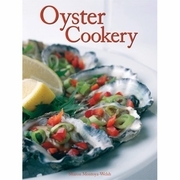 You can include a copy with your order by clicking on the Oyster Cookery link below. We maintain our original recipes by country which have become favorites with many.